Are you experiencing hot flashes, night sweats, weight gain, or mood swings? Chances are you are on what I like to call “the menopause spectrum”. Of course, menopause doesn’t happen from one day to the next. 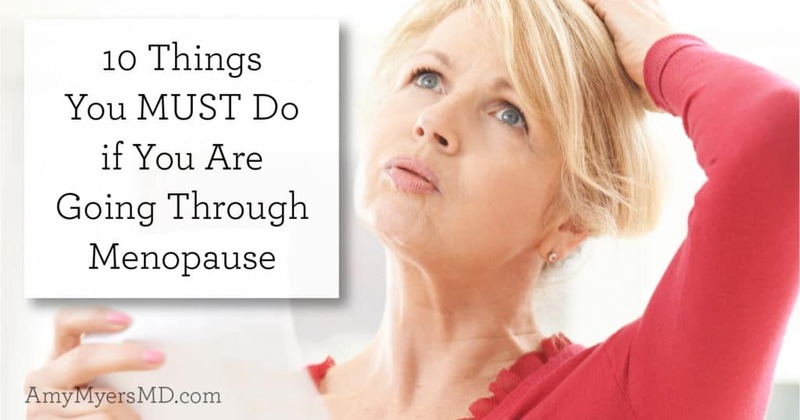 The months or years leading up to it are known as perimenopause, during which you can experience menstrual changes and irregularities, as well as an array of symptoms. This roller-coaster of symptoms is a sign of declining estrogen and other hormonal fluctuations, and can be tiresome, frustrating, and anxiety-producing. The journey from perimenopause to menopause is a rocky road, to say the least. I’m currently going through perimenopause myself, so I know how you feel! Everything started changing when I turned 46, and even now at 49 I still go through plenty of ups and downs with symptoms coming and going erratically. However, I have some good news for you! By supporting your health with changes to your diet and lifestyle, you can ease the transition and decrease uncomfortable symptoms during your menopause journey. How Do I Know When I’m in Menopause? Menopause may also increase your risk of thyroid dysfunction and autoimmune conditions.5 Many of my female patients tend to experience an onset of these conditions during this turning point in their lives. While menopause is an inevitable and natural part of your life, it doesn’t mean that you have to deal with uncomfortable symptoms and other health issues during and after this time. The following lifestyle strategies and powerful supplements can reduce or even eliminate your symptoms, and support your hormonal and overall health during menopause. Your gut is the gateway to health. An imbalance of gut flora, known as dysbiosis, along with gut infections such as SIBO and Candida overgrowth can lead to a leaky gut which increases inflammation and compromises your body’s ability to absorb nutrients. This can lead to hormonal imbalance, exacerbating the hormonal changes you are already experiencing due to menopause. All this imbalance leads to increased menopausal symptoms. Repairing your gut is essential to reduce inflammation and improve your ability to absorb nutrients properly, and as a result, reduce your menopausal symptoms and support your overall health. To repair your gut, I recommend using the 4R approach, which you can learn more about here. If you are eating a diet high in refined sugar and processed foods, it can lead to sharp rises and dips in blood sugar leading to fatigue and irritability. 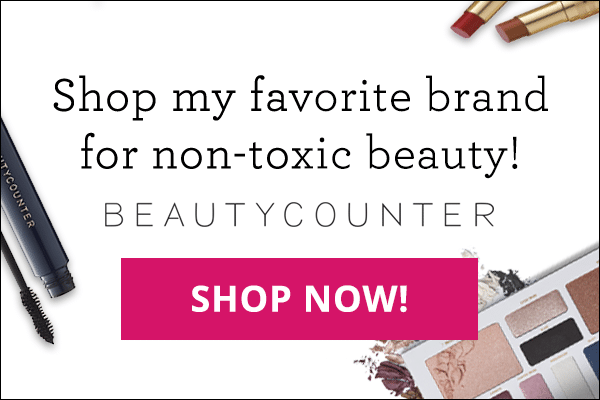 According to research, eating too many refined carbohydrates can even increase depression in postmenopausal women.6 Processed foods can also lead to poor bone quality among women aged 50 to 59.7 These toxic foods increase inflammation in your body that disrupt your hormonal health and increase your menopause symptoms. Certain foods, including sugary and spicy foods, alcohol, and caffeine can also trigger hot flashes, night sweats, and mood swings. In addition the above toxic foods, I also recommend eliminating gluten and dairy from your diet. These highly inflammatory foods can trigger an autoimmune condition or thyroid dysfunction, and should be avoided at all costs. There are also a number of seemingly harmless foods (such as nightshades, citrus, or eggs) that you could potentially react to if you develop a food sensitivity during this time. Keeping a food journal to track the food you eat and your symptoms can help you identify your personal trigger foods. Once you identify your triggers, remove them from your diet. An elimination diet can help you discover underlying food sensitivities and foods that are triggering your menopausal symptoms. Many women experience weight gain or difficulty losing weight during menopause. This is not the time to restrict and skip meals, however. Irregular eating can hinder your weight loss efforts and may make your other symptoms worse as well.8 Eating regular meals is very important to keep your body in balance, energized, and healthy. Taking digestive enzymes can help improve slowed digestion you may be experiencing during menopause. Eating protein throughout the day will keep you full and satisfied, and can help you achieve your weight loss goals and slow down muscle loss that comes with aging.9,10 I recommend grass-fed, pastured meat, and wild-caught fish in order the ensure you get plenty of high-quality protein. My Paleo Protein Powder is another quick, convenient way to meet your protein needs, and can be easily added to add to your smoothies, shakes, and recipes. During menopause, your body is going through some serious hormonal changes that can lead to hot flashes and other uncomfortable symptoms. 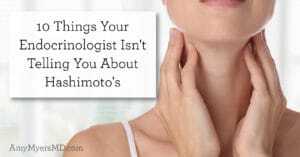 Some of your symptoms may also be a result of thyroid dysfunction which, as I mentioned above, is very common during menopause. Your thyroid is a gland that secretes hormones that control your metabolism and support important bodily functions, including breathing, heart rate, muscle strength, and your menstrual cycle.11 It is your body’s engine that powers you and helps keep everything working smoothly. 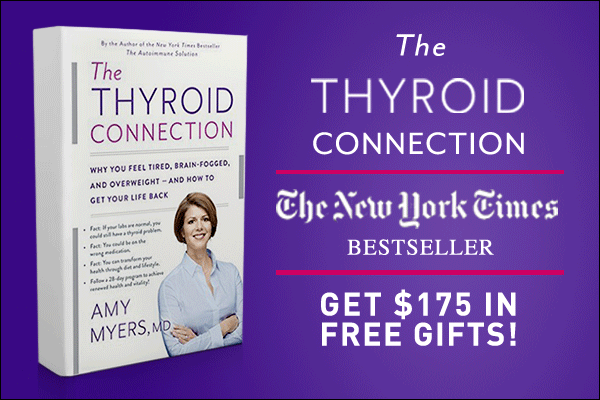 When your thyroid is not functioning optimally, your metabolism slows way down and you can experience weight gain, fatigue, low libido, and brain fog. Many women also experience estrogen dominance during the years leading up to menopause. This is when your progesterone levels have dropped significantly and your estrogen levels have not yet decreased, causing an imbalance of these key reproductive hormones. You can read more about estrogen dominance here. During menopause, maintaining hormonal balance is crucial. My Organic Greens powder is an easy way to get plenty of these hormone-supporting foods into your diet. This superfood juice powder is filled with hormone-balancing foods such as kale and maca, along with 12 other powerful, certified organic plant foods. If you are dealing with estrogen dominance, you may also benefit from taking EstroProtect, a supplement I designed to support healthy estrogen balance and immunity. 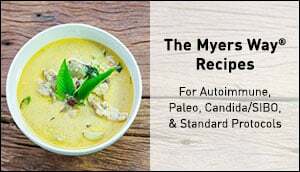 For simple yet delicious recipe ideas to support your health during menopause, I recommend my Autoimmune Solution Cookbook, which is filled with delicious, nutrient-dense, autoimmune-friendly, and thyroid-supporting recipes. Hormonal changes due to menopause can weaken your bones, increasing your risk of osteoporosis. While a daily dose of sunlight ideally should be your main source of vitamin D, if you spend a lot of time indoors or live in a less sunny climate, chances are that you are not getting enough. I have done nutritional testing on thousands of patients and of those who were not supplementing, virtually all were deficient in vitamin D. For this reason, I recommend a vitamin D supplement, such as my Vitamin D3/K2 Liquid, which includes vitamin D3 and K2. These two nutrients work together to ensure that calcium finds its way into your bones where it belongs, rather than remaining in your bloodstream. Conventional wisdom would have you believe that dairy products are the best source of dietary calcium. However, considering dairy is chock-full of hormones that would only exacerbate your menopausal symptoms (among other harmful side-effects), I don’t recommend eating dairy for your calcium. So unless you are eating tons of leafy greens, it can be challenging to get enough calcium levels from diet alone. To ensure optimal calcium levels, my Bone Health Kit includes a bottle of super bioavailable calcium from grass-fed New Zealand cows, along with my Vitamin D3/K2 Liquid. The hormonal changes associated with menopause can lead to mood imbalances. The good news is that you can support your mood and mental health with food and lifestyle strategies. In addition to nutrients in food, there are a number of supplements that contain nutrients to help support your mood and mental health. I recommend supplementing with Complete Omega-3 Softgels, Methylation Support, and NeuroCalm Magnesium for promoting optimal stress relief. Ashwagandha in my Organic Greens Superfood Juice Powder also encourages stress relief by enhancing relaxation and supporting your mood. In addition, Organic Greens is also rich in nutrient-dense vegetables and superfoods that can support your mental and physical health. Relieve your stress. Yoga, tai-chi, meditation, journaling, coloring, affirmations, and relaxation exercises are all beneficial. Cultivate quality relationships through family, friendships, and community. I can’t stress enough how important sleep is for lowering your stress levels, supporting your mood, and maintaining a healthy weight. These are areas in which menopausal women often struggle. Getting regular sleep of seven to eight hours a night is important to support your health through menopause and to reduce your menopausal symptoms.29 You can read about my personal evening routine here for some ideas on how to support your own sleep. If you find that you are STILL tired even after getting a full night’s sleep, it may be the result of your diet, stress, or adrenal fatigue. Eating processed sugar and drinking coffee throughout the day can lead to sugar crashes and fatigue. And, if you are not eating a diet rich in nutrient-dense foods, such as vegetables, fruits, lean protein, and healthy fats your body won’t be able to support you for a full day activity. Finally, if you think you might be dealing with adrenal fatigue, I recommend my Adrenal Support supplement, a cutting edge blend of adaptogenic herbs, to support a healthy stress response, mood, sleep, libido, immune system, blood sugar, and more. Menopause is a natural part of a women’s life that comes with many hormonal changes (and challenges). Fortunately, by following these ten hormone-supporting dietary and lifestyle strategies, you can reduce or even eliminate your menopausal symptoms, and achieve optimal health during and after menopause.